Back in January 1973, Geoff MacCormack was selling advertising space for a London construction magazine when he was head-hunted in the most astounding manner. A telephone caller told him (“Forget being asked”) that he was to provide backing vocals and percussion for Ziggy Stardust’s band, the Spiders From Mars, during their forthcoming world tour. The voice on the ‘phone belonged to David Bowie. By the end of the month, MacCormack (along with his camera) was bound for New York with his famously flight-phobic new boss on the opulently appointed SS Canberra. “If that wasn’t cool enough,” he recalls, “David wasn’t keen to fly, so we travelled to America, Japan and Russia by road, sea, and rail, which was an absolute bonus. The week-long cruise to New York was as un-rock ‘n’ roll as it gets, so we’d kill the boredom by dressing for dinner, getting blotto, and chatting with our fellow passengers. During dinner we’d do our Oscar Wilde and Bosie routine: I’d ask David, ‘More vegetables, my dear Oscar?’ And he’d roll his eyes disdainfully and say, ‘I find vegetables so very vulgar.’ Obviously, we stood out a bit! MacCormack’s rock ‘n’ roll peregrinations saw him brush egos regularly with luminaries such as John Lennon, Elizabeth Taylor, and even William S. Burroughs, but he could hardly be described as starstruck. As he sits in his basement kitchen sipping coffee, he positively radiates playfulness, and it’s easy to see why Bowie saw fit to assign MacCormack the role of rock ‘n’ roll Passepartout to his Phileas Fogg. The pair that are chronicled in the book – ‘Davie Stardust’ and ‘Macmatout’ – make for a likeably singular double act. Nice work, if you can get it. Mind you, Geoff and Dave go back a long way, having attended Burnt Ash Primary School together (in Bromley, Kent), and having sung in the local (St Mary’s Church) choir as cherubic eight-year-olds. Less angelically, their private musical tastes embraced Fats Domino and Screamin’ Jay Hawkins, the latter of whom MacCormack’s mother felt to be an exponent of “the devil’s music”. Bowie recalled recently that MacCormack always had a great voice; while for Geoff’s part, the mate formerly known as David Robert Jones had much to recommend him as a youngster. In the late sixties, while Bowie tried out various artistic personas, self-proclaimed “social animal” MacCormack found work with the jive-spouting D.J., Emperor Rosko, singing jingles and driving his Roadshow bus. Skite forward to 1972, and he is contributing backing vocals to his pal David’s widescreen, “Ziggy-in-America”, Aladdin Sane album (1973). The pair’s adventures, which are captured in MacCormack’s winning photographic travelogue From Station to Station suggest a Monty Python-scripted version of Around the World in Eighty Days. Nicely set off by Bowie’s droll introduction, the elegantly packaged opus features MacCormack’s uniquely intimate photographs, which include “holiday snaps” of Japanese press hysteria, and a shot of Bowie meeting Russian villagers, having stepped off the Trans-Siberian Railway. In late 2008, Rockarchive – purveyors of limited edition prints – turned some of MacCormack’s photos into highly covetable, frameable images. Throughout the book, it’s clear that the “old mockers’” global wanderings exposed the pair to experiences not usually reserved for 1970’s rock aristocracy. “On the train from Moscow to Paris, there was a drunken attendant who shuffled around doing odd jobs. Although he sometimes grimaced in our direction, we didn’t have much to do with him. But near East Berlin, as he becomes increasingly sloshed, he keeps opening our cabin door and shouting something incomprehensible at us. When he tries to chuck us out, we lock the door on him, but the next thing we know, he’s battering our door down!” laughs MacCormack. “As the cabin door begins splintering, we put our weight behind it to keep him at bay. Then, suddenly, all is still: the train has stopped and we are at the last checkpoint of communist Europe. I glance towards David, who looks as shaken as I feel. “Soon there’s a rap on the door and we open it to a woman flanked by two mean-looking guys in trenchcoats. ‘Passport!’ she demands and, with much fumbling, we deliver. Feeling more confident, I try to explain our attendant’s behaviour through the medium of mime. Raising an imaginary bottle to my lips, I stagger and point towards our lunatic friend who is snorting scarily in the background. The woman’s face shows utter contempt. ‘Visas!’ she spits. Behind the bonhomie, the background thrum of history’s engine can be heard in this book, like existential tinnitus. There’s a sense of Bowie’s exposure to Japan, Russia and East Germany inspiring him to reconsider the direction of his life and art; as if the weight of world history provides the impetus for a spiritual and creative remapping. And, although Station to Station (1976) was recorded in Cherokee Studios, Los Angeles, there’s little American about the album. The grey austerity of life behind the Iron Curtain surely inspires the Pabstian starkness of these songs, with their corrugated iron chord changes and plangent visions. 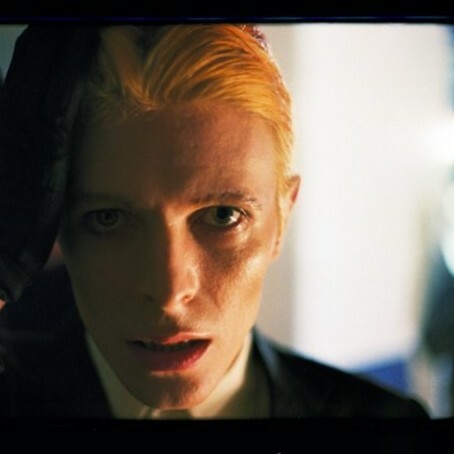 The Brechtian lighting of the Station to Station tour has been well-documented, and some of the Thin White Duke‘s movements evoke the biomechanics of the Russian actor and theatre director, Vsevolod Meyerhold. From “flashing no colour”, Bowie plunges straight into the Technicolour brilliance of the Brian Eno-assisted Berlin Trilogy of albums: Low (1977), Heroes (1977), and Lodger (1979). Tellingly, the monochromatic tone (and sleeve photo) of Heroes shunts back to the sombreness of the Station to Station set, as if something unresolved is being returned to. Between being terrorised by East German officials and enjoying regulation bouts of rock ‘n’ roll excess, MacCormack made notable artistic contributions during Bowie’s periods of creative overdrive. He’s credited (under the Tolstoyan stage name Warren Peace) on the Diamond Dogs album as co-writer of ‘Rock ‘n’ Roll With Me’, and he would subsequently help Iggy Pop write a song, ‘Turn Blue’, for his error-refining Lust For Life album. Warren Peace’s parting shot was to contribute backing vocals and ideas to the peerless Station to Station set. 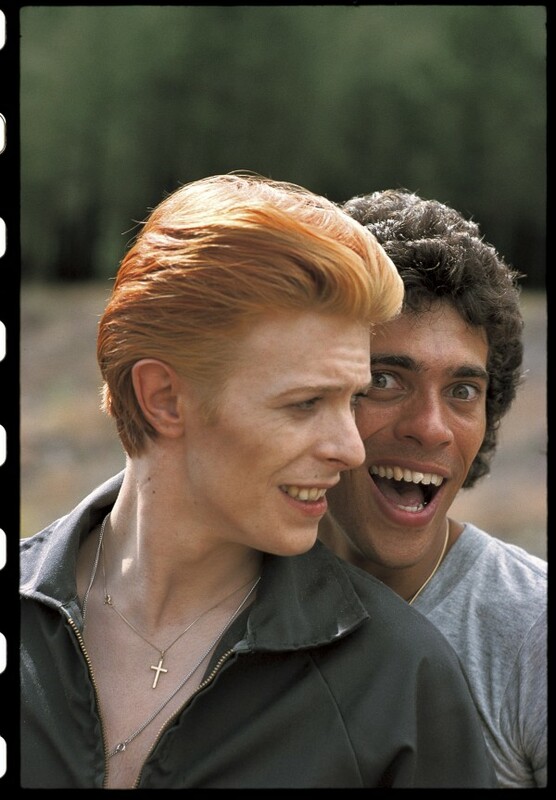 And there was a laughably unlikely stint as a Bowie body double during the making of The Man Who Fell to Earth film in New Mexico. Eventually, a homesick MacCormack returned to Kent, while Bowie took time off to paint. One can only imagine MacCormack’s travails in adapting to workaday life, having spent three years experiencing the Mr Benn adventure to end them all; one which involved becoming a rock musician of sorts in the process. But, although he made worthwhile creative contributions, MacCormack was strikingly uninterested in capitalising upon his good fortune. Later, MacCormack would win Ivor Novello and Gold Clio awards for his work on film scores and television adverts. (Biography fiends may be interested to know that Ivor Novello – who did business under the name David Ivor Davies during his formative years – spent much of his youth in Biggin Hill, which is eight miles away from where David and Geoff grew up in Bromley, Kent). MacCormack also reached number 3 in the British charts with ‘Only You’ as part of the new-age-inflected trio, Praise. Ultimately, what may surprise readers of Station to Station is The Thin White Duke’s jokey, relaxed demeanour throughout the book. One scene depicts a gloating Bowie carrying MacCormack home after a marathon Gold Tequila spree, and another an impromptu acoustic set performed for an assortment of shipmates, which included a pair of uncomprehending KGB spooks. Then there was the time a rather high MacCormack forgot to help lift Bowie into the air (in a supine position) during a concert, and left his fellow vocalist/dancer, Gui Andrisano, to do it by himself. This lapse raised laughter rather than recriminations from Bowie. MacCormack also recounts a proto-Fawlty Towers skit that the pair performed for fans in an English bar, featuring Bowie as the buttoned-up English diner and MacCormack as the incompetent waiter. “That involved a fair bit of broken glass, but the barman didn’t seem to mind, and just kept replacing the glasses. “My favourite story, though, is when we were at Dave’s place on Doheny Drive in LA listening to D.J. Shadow on the radio. It’s Shakespeare’s birthday and Shadow is playing all the English stuff like the Goons and Monty Python. David says he wants to do an extra-sensory perception test with me as the medium. I have to think of unlikely objects that, to my knowledge, aren’t in the room and then write down what they are. I come up with “pyramid”, “windows”, “children”, and “tree”. So we search the room and find nothing like that. Eventually, though, David finds an old Christmas card wedged behind a drawer: it has a pyramid-shaped Christmas tree with windows all over it – and behind that are children’s faces! Which anecdotage is an antidote to the tacky stuff that often gets written about Bowie, and this may partly explain Mr Jones’ delight with the book. Meanwhile, MacCormack’s former policy of speaking to the press only when Bowie specifically asks him to helps explain the Geoff MacCormack-shaped hole in previous biographies. From Station To Station, by David Bowie & Geoff MacCormack, is a signed limited edition book of 2,000 copies from Genesis Publications.